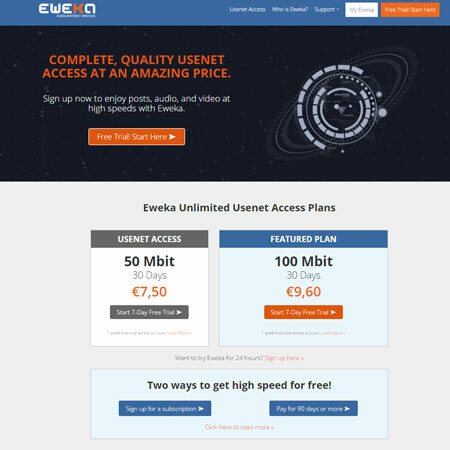 Everyday Low Price: Newsgroups offers Unlimited, Unrestricted Usenet Access for only $10.95 a month. 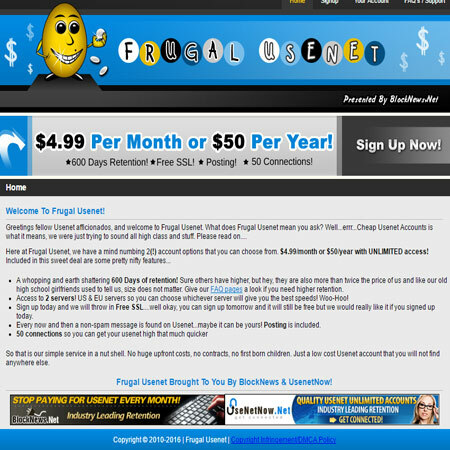 With other providers you are paying up 60% more to get the same features Newsgroups.com offers. 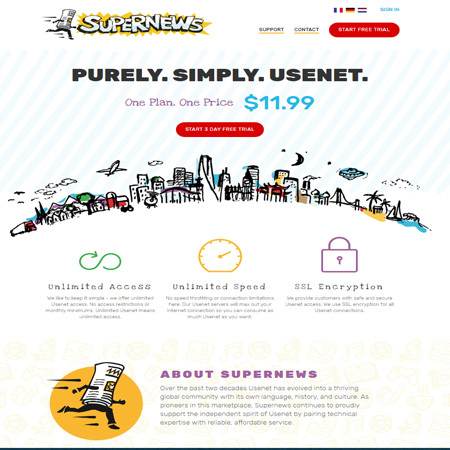 Simple Usenet Plans: Newsgroups.com offers 3 different Usenet plans to meet everyone\'s needs. 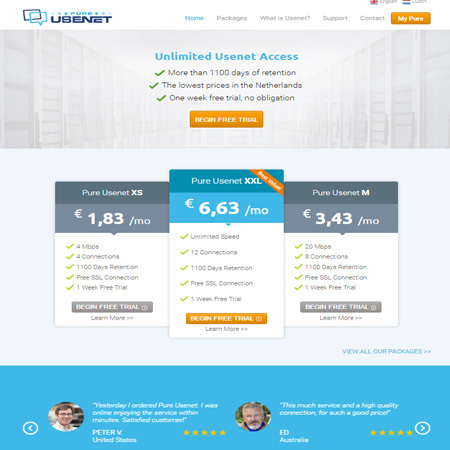 Unlike other providers which charge extra for added features such as more connections, SSL security, added retention. Newsgroups.com offers the same great features with all our accounts. Newsgroups.com offers a FREE trial of their services. Please be sure to check the terms and conditions of any trials.